The essential circle label is always an outstanding choice. 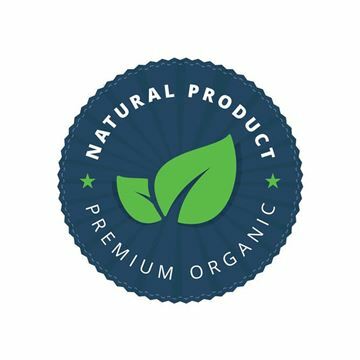 When your competitors are using rectangle or square labels, the straightforward circle label makes your product stand out from the crowd. 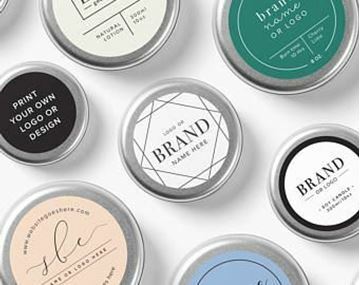 Large or small, a circle label draws attention to the package itself, which can be especially striking when applied to glass bottles or packages made of brightly colored or natural materials. While the product inside your jars is what matters the most, your customers won't know that—unless your jar labels catch their attention. Because your products are competing against so many other choices on the shelf, you can't afford to settle for second-best. That's why Wizard Labels prints jar labels on precision engineered high-speed presses using only the highest quality label material. Rectangle labels afford you limitless design possibilities. 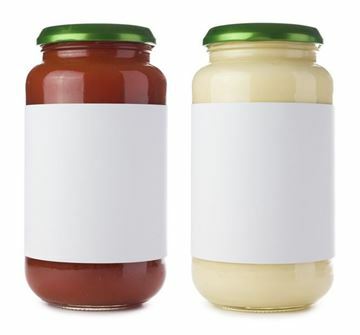 The simple, timeless shape of rectangle labels makes them the perfect choice for almost any kind of packaging: bottles, jars, cans, boxes, or any other container. Nothing lends your product honest-to-goodness appeal like a tin box or canister. The old-fashioned charm of a tin container gives your products the feel of genuine authenticity. But it can be a challenge to find durable and attractive tin labels that are sized just right for your container. 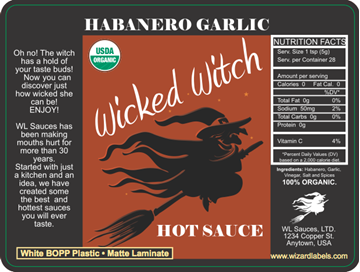 That's why Wizard Labels prints custom-sized tin labels using a wide selection of quality label materials. There is no limit to your creativity and innovation in inventing new products. Whatever segment you're chasing or niche you plan to dominate, Wizard Labels can help your brand stand out against your competitors. Your product label is a key factor in the consumer decision making process, don't leave it to a cheap sticker. 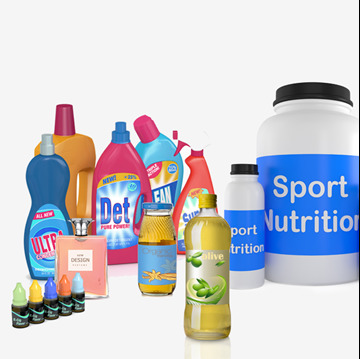 Your product can be produced to meet or exceed the product labels of large companies who print labels in the millions.